Whilst reading last night, I was trying to push past Achilles’s sulking, but I just wanted to visually articulate the story thus far. Of course, my artistic skills aren’t quite on the level, but I needed to render the story spatially. I know that warfare is not funny or humorous, but I couldn’t help but find the dispute between Agamemnon and Achilles quite ridiculous considering that Agamemnon has waged 10 years of war upon Troy because Paris seduced Helen and Menelaus’s honour was left in a dubious state. Additionally, I couldn’t help but bring my own modernisms into the story. I did find the naming of France’s capital city Paris to be so fitting and also cynically hilarious. I have a love/hate relationship with that city. To love that city, I feel that one must indulge purely in privilege, but, because life is far more complicated than that, one cannot and must not accept metropolitanism that caters to the richest of the rich as the ideal. So, Paris gets all the swag. Some things never change. Oh, question. So, I’ve been wondering if anyone has any background in etymology, but is there a relationship between the Greek names Coön, like Laocoön, and the Jewish surname Cohen. Let me know. Edit: I ask because Laocoön was a priest and the surname Cohen refers to the genealogy of the surname Kohen, priests of Temple of Jerusalem. 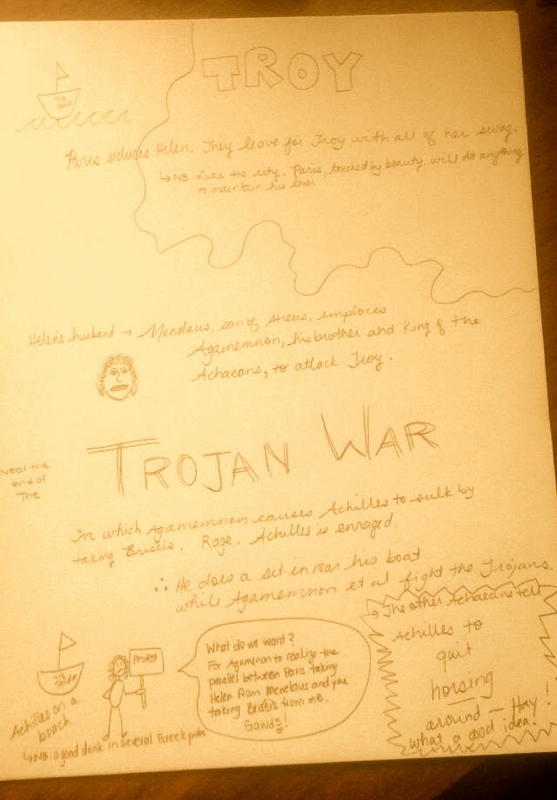 Also, just a note, the Horse thing at the bottom refers to the Trojan Horse. ps. here is some ear jam on toast for rather late elevenses. Maybe onesies?